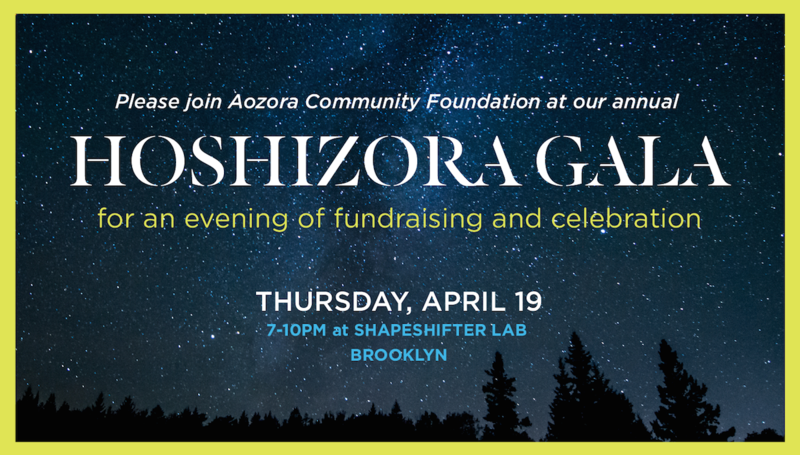 Thursday, April 19 from 7:00 p.m. until 10:00 p.m.
Aozora Community Foundation will host their 3rd Annual Hoshizora “Starry Skies” Gala at ShapeShifter Lab in Gowanus, Brooklyn. 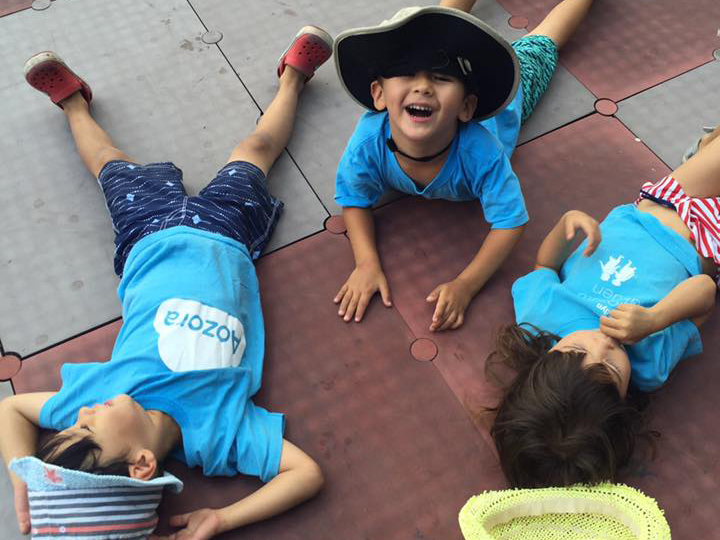 A nonprofit founded in 2016, Aozora Community Foundation supports the services of Aozora Gakuen, Brooklyn’s only Japanese-English bilingual preschool, while enhancing opportunities for New York-area families to engage with Japan’s unique language, arts, and culture. The gala is a fundraiser to expand the foundation’s programming and services. Proceeds will go toward finalizing their Japanese lending library, growing their school holiday and summer camp programs for youth, continuing outreach to the Japanese community through workshop and class for both children and adults. The evening includes a silent auction filled with an impressive list of donations from local businesses and individuals. Try your luck on one of the raffle baskets or take home one of our fukubukuro “mystery bags.” There will also be a bottomless beer and wine bar and a variety of Japanese tapas from restaurants such as Ganso, Gen, and Wasan to name just a few. Performing at ShapeShifter Lab will be tap dancer Kazunori Kumagai, taiko drummer and shinobue (Japanese flute) player Kaoru Watanabe, and female duo Nojo. For more information about Aozora Community Foundation and Aozora Gakuen, please visit their website. General admission is $75 for one ticket, but there are several packages from which to choose. To purchase tickets, please visit the gala’s event page on BrownPaperTickets.com.